The City of Melbourne has prepared Amendment C323 to the Melbourne Planning Scheme. Amendment C323 aims to encourage the provision of arts and creative industry along Sturt Street in Southbank to support the role of the State Significant Melbourne Arts Precinct. On 7 March 2018 the Minister for Planning approved Amendment C330, which introduced Schedule 7 to the Capital City Zone on an interim basis. A purpose that maintains and enhances the Melbourne Arts Precinct as a significant arts and cultural precinct. A mix of ‘as of right’ and ‘permissible’ uses which are specifically tailored to the future needs of the Melbourne Arts Precinct and seek to encourage the provision of arts and creative industry uses within the first four storeys of buildings, together with the provision of active street frontages and integration with the public realm. Application requirements and decision guidelines in respect of the use of land which further the purposes of the zone. The consequential changes to Clause 22.01 (Urban Design in the Capital City) and Schedule 1 to Clause 43.02 (Design and Development Overlay) are required to ensure the continued application of the urban design policy contained in Clause 22.01 and the active street frontage requirements contained in Schedule 1 to Clause 43.02. The application of Schedule 1 to the Parking Overlay is required to ensure that the correct car parking requirements are applied to land within the Capital City Zone. 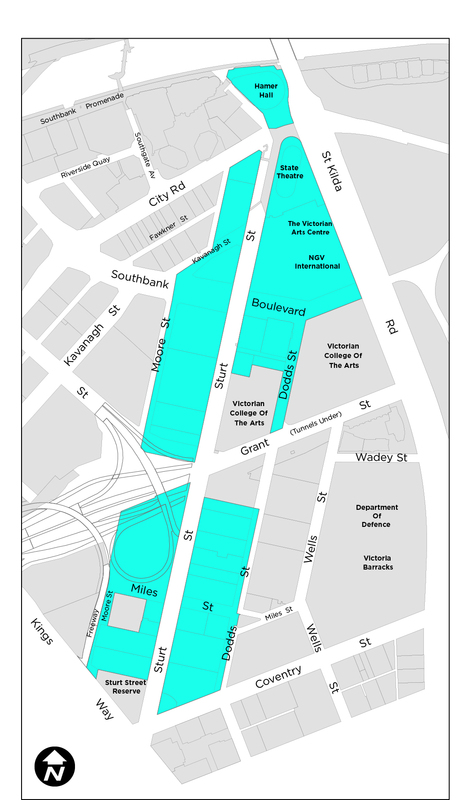 The current Schedule 12 to the Parking Overlay is only applicable to land located within a residential zone. Formal public consultation on Planning Scheme Amendment. Report on public submissions to Future Melbourne Committee. Council requests Minister to appoint independent panel to review and hear submissions. Independent panel considers written submissions lodged during the statutory consultation period, hears verbal submissions in support of the written submissions and makes recommendations. Future Melbourne Committee considers the panel report and changes to the Planning Scheme Amendment. Council submits final amendment to Minister for approval. ​What is a planning scheme amendment? A planning scheme is a legal document that sets out planning policies, zones, overlays and other rules affecting how land can be used and developed in the municipality. It sets out what we can and cannot do on different areas of land in the city; for example, but is not limited to, whether the land can be used for housing or a shop or business, what the height of a building should be, and how much open space should be provided. The process for an amendment is set out in the Planning and Environment Act 1987. The amendment process has a number of steps.